To-Do is a brand-new intelligent task management app from Microsoft. This cross-platform app is available on various platforms such as Windows 10, iOS and Android. 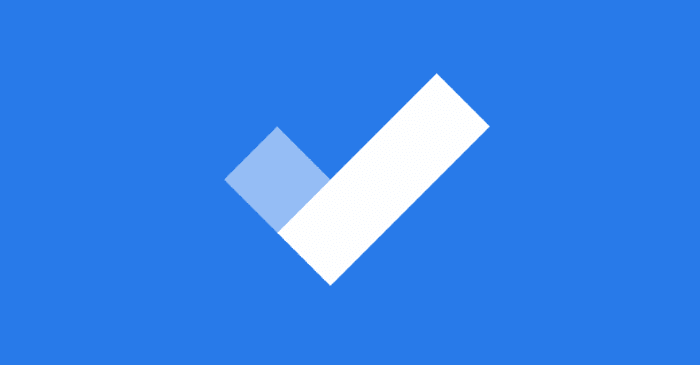 The current version of Microsoft To-Do helps you create and manage lists and tasks. You can add notes, reminders, and due date to your tasks. Microsoft To-Do requires a Microsoft account and millions of users have tried Microsoft To-Do app on Windows, Android, and iOS. There is a provision to import data from Wunderlist and Todoist. The intelligent suggestions feature is something which you cannot find in its competitors. While most users are happy with Microsoft To-Do, there are users who are satisfied with the To-Do features and interface. Many users want to switch to other task management apps and delete Microsoft To-Do account. Microsoft To-Do is in its early days. It currently is not as polished as Wunderlist or some other third-party task management programs. Features such as list-sharing, ability to restore deleted lists and tasks from within the app are currently not available, but you can expect more features in near feature. Microsoft has promised that all Wunderlist features are coming to To-Do in a few months. So, if you are not satisfied with To-Do, try it after a few months instead of deleting the To-Do account. 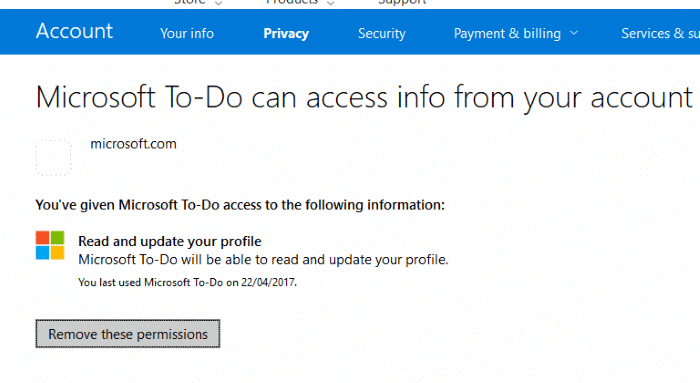 Since To-Do is linked to your Microsoft account, you need to delete To-Do from your Microsoft account to delete To-do account. But if you have created a Microsoft account just to use Microsoft To-Do, you can delete your Microsoft account. If you are not happy with Microsoft To-Do’s interface or features and want to delete your To-Do account right now, follow the given below directions. Step 1: First of all, uninstall Microsoft To-Do app from your devices. Step 2: Next, visit this page of Microsoft in a web browser. Be sure to sign-in with the same Microsoft account that you use to sign-in to Microsoft To-Do. 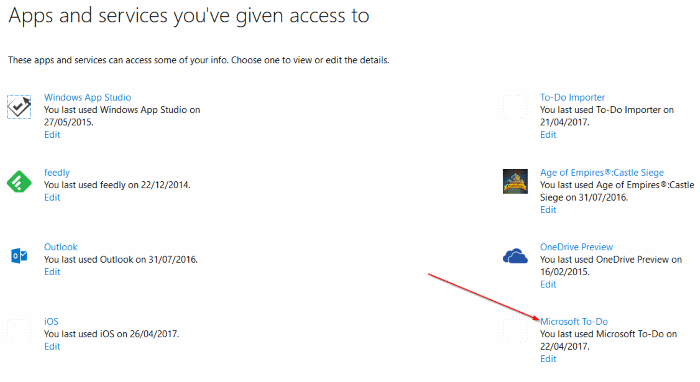 Step 3: On the “Apps and services you’ve given access to” page, click on Microsoft To-Do link. This action will open Microsoft To-Do can access info from your account page. Step 4: Here, click Remove these permissions to remove To-Do from your Microsoft account. That’s it! If you want to delete your Microsoft account, please follow our how to delete your Microsoft account guide.